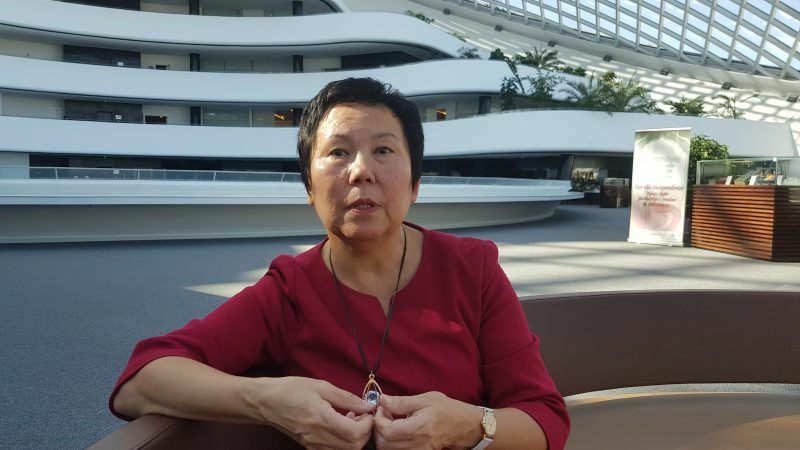 Kazakhstan has succeeded where the EU has failed – creating a society based on multiculturalism, Sagintay Berdaulova told EURACTIV in an interview. Sagintay Berdaulova is Lead Researcher of the Library of the First President of Kazakhstan in Astana. She spoke to EURACTIV Senior Editor Georgi Gotev. We speak just before the opening of the Congress of the Leaders of World and Traditional Religions which is will be held for the sixth time Astana, on 10 and 11 October. Tell us about this initiative. The first such meeting took place in 2003, not so long after Kazakhstan formed itself as a new state, in 1991. This was an initial period of positioning of our country in world affairs, it was part of defining our values. Obviously this was about positioning Kazakhstan as a peace-loving country, but also about solving internal problems via this international positioning. We are a very multi-ethnic country, and although we have had no difficulty preserving our internal peace, we live in an ever more dangerous world, and influences are possible. The world is no longer what it was 70 years ago, when World War 2 ended and the international scene was occupied by politicians. Maybe it’s time to think about spiritual, humanitarian values, of which traditionally religions have been the exponent. Maybe it’s time to create a new paradigm for relations between humans, to move away from confrontation. By the way, at one of the previous Congresses it was proposed that the culture of peace should replace the culture of confrontation. I think it’s very courageous for a country to take the lead for such a mission, but for us it’s natural, because we are used to live at the crossroads of cultures, religions. If we look at the map, Kazakhstan is quite close to Afghanistan and Pakistan – a very different world to say the least. 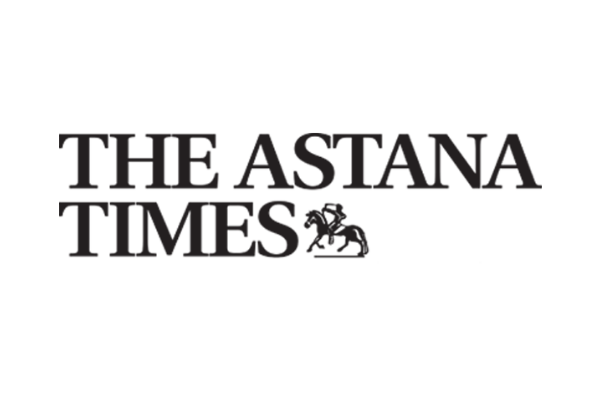 What is the risk for extremism be imported in Kazakhstan? Unfortunately such a danger exists, nobody is protected, our territory is big, our borders are very long, in addition internet shortens the distances even more. Unfortunately we have had people who got caught in those traps, some people went to Syria to support extremist movements. But this is also why we try to contribute to making the world a safer place, also by being a safe and stable place in our region. This is why our President has for many years been proposing initiatives for Afghanistan. We give Afghan students grants so that they could obtain good education in Kazakhstan, and also gain from acquiring a culture of communication with people from other parts of the world, from other civilisations. I’m sure these people, who were only used to seeing foreigners as colonizers, have experienced a very different attitude toward themselves. We are yet to see what the initiative will produce, but creating relations in a non-mentor style is important. What do you think of the so-called international community, it is obviously not doing enough to fight religious extremim? Let’s take an example, what do you think of the action of the EU to help solve the problems you describe? I will say something that may sound outrageous, but I think the EU sometimes acts as if it was dog with an Elizabethan collar. You know, those collars they put on dogs [when they have an injury]. The dog sees the world through this funnel and believes that what it sees is the world. [The EU] only sees what they want to see, they are not looking left or right, first because they don’t think it’s necessary, and second, because they are afraid of what they could see. Because what they could see is very likely to create the urgency of doing something about it. Another reason is that the EU is in an internal crisis situation, with its own citizens, and externally, a good example being the transatlantic relations. Moreover, the EU is at crossroads: how will it evolve in the future? Will the new members be kicked out? Will only old members remain? After World War 2, when the economic conditions were good, some 3 million Turks were invited to Germany, and a few hundred thousands of Moroccans to Belgium. Why after so many years were the vast majority of these people not integrated? Why are some so hostile to the West? It’s like if your family has invited a guest: everything will depend on how heartily you will welcome him, this will determine his attitude toward you. In Europe, there has been a tradition of people being confined in their landscape, be it the Alps, the Pyrenees, living in their small environment, with their customs, values. The Europeans already find it difficult to communicate between themselves. In my view the same tradition is strongly influencing the attitude toward much more alien people. In addition, there has never been an objective to integrate those people. In the beginning it was assumed that they come to work, and later they will return home. So what is called tolerance amounts to patience out of necessity. In Kazakhstan it’s different, for a number of reasons we are more friendly, more well-wishing to those of foreign origin. This is why even if we have isolated radicals, they cannot form a community. The correct way of achieving multiculturalism is not creating an alloy, a composition metal, it’s about creating a mosaic of people representing different civilisations. Can you formulate some advice to the West? Here we come back to your first question: why does Astana host such gatherings of leaders of the different religions? We are used to being surrounded by different cultures. We live in the steppe, we are not divided by mountains, by natural barriers. The fact that we lived in the Soviet Union, a multi-nation state, has also played a role. Populations have been brought there artificially, there have been [Soviet] initiatives to develop the ‘Virgin Lands’ [In Russian, ‘Tselina’, the Soviet-times name of Astana was Tselinograd], but this has taught us that peoples are necessary one to another. We have always had a lot of land, but too few people. So a newcomer was always precious. And in our ancient history, we didn’t have capital punishment, because each person was precious. In the last 26-27 years, if we have been successful, as independent Kazakhstan, it’s thanks to this mosaic, and we realise this. You gave as example the Soviet legacy in a positive way, but the same legacy has created wounds elsewhere, like in Nagorno-Karabakh, and there is no recipe how these could heal. What is your comment? Armenia is a very mono-ethnic country. Even in Soviet times 90% of the population were Armenians. In contrast, Kazakhs in Kazakhstan during Soviet times were less than 40%. The rest: Russians, Ukrainians, Polish, German, Tatars, Uzbeks, are all ours. The ensuing inter-dependence, mutual support, also were formed in severe climatic conditions, with minus 40 degrees in the winter and plus 40 in the summer. A few weeks ago we organized a round table, the Ambassador of Armenia was also present and said its country will withhold this place d’armes even with the use of military force. For the Kazakh mentality such language is unusual. Kazakhstan has excellent relations with Turkey, but Turkey is also changing. How do you see this change? It’s a difficult question. A couple of years ago I could say that Turkey is trying to fend off various perceived attacks. Today I can say that Turkey got rid of its inferiority complex of being a hopeful to join the EU. And a re-orientation in term of values takes place in parallel. Turkey probably feels self-sufficient and consequently is redefining its role in world politics. I hope that the positive tendencies will prevail, because we are used from history to call Turkey the sick man of Europe. Turkey used to be secular, but we see shifts. Is this worrying? The role of religion is increasing in many places, including in Turkey. The world is changing and people are in search of what could preserve their identity for the future. In addition, Turkey finds itself entangled in the knot of the Middle East problems. And Turkey needs to leverage itself vis-à-vis its Islamic environment by raising the religious flag. But I don’t thing Turkey will become a religious state, such as Iran. The Turkish society is much different, and many ethnicities are represented in Turkish society. Especially in a megapolis such as Istanbul this is impossible. Recent elections have shown that Turkey is divided at 50-50. I don’t think that the future of Turkey is the religious state. What about the Christian world extremists, for example the Creationists in the US who oppose Darwin? I don’t think it’s sustainable to question if man descended from apes, but such theories can still be used by populists to attain their goals, including opposing international efforts to mitigate climate change. But I think the scientific approach will prevail. One of the goals of the Astana meetings is to encourage religious enlightenment. The Serbian Orthodox Church played a very negative role during the Yugoslav wars. And in Russia the Russian Orthodox Church is becoming more and more reactionary. Do you agree? In the case of Russia, I think the Orthodox Church is been used to mask some internal problems of the economy and of society. Moreover, the Russian Orthodox Church is losing huge territories where it used to be influential, such as Ukraine, and fears that the process will continue with other countries. I think the Russian Orthodox Church is a manifestation of a certain imperialist mentality that exists in Russia. Do you feel that in Kazakhstan? Not really, because the Orthodox have become a minority, now 70% of our population are Kazakhs, and as you know the vast majority of Kazakhs are Muslim. Moreover, the 23% of Russians and Ukrainians in Kazakhstan are divided. And they cannot raise issues, because according to our constitution religion cannot interfere in state affairs. But the churches are there, people gather there on religious holidays. People in Kazakhstan maintain their religious identity at the ritual level. There is no fanaticism in Kazakhstan and the Kazakhs are not fanatic Muslims. The other religions feel no need to defend themselves, because they are not attacked. But I suspect that there is a sense of unease about what is happening in Russia.